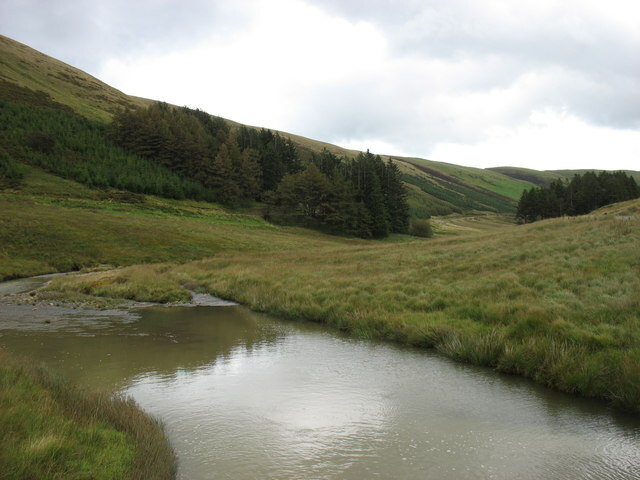 This picture is taken from the first (vehicular) bridge over the Wye, about 5 kilometres from its source high on Plynlimon. The Wye Valley Walk crosses this bridge. On the left are the lower slopes of Y Foel, 546m.